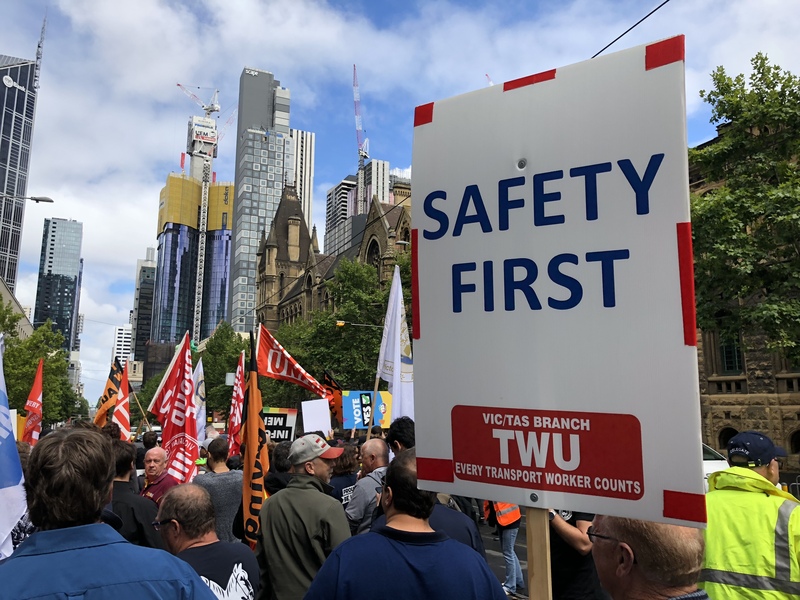 Truck drivers and their supporters will protest in all major capitals this Wednesday – two years after the Federal Government disbanded the Road Safety Remuneration Tribunal (RSRT). All members are welcome to join the TWU National Day of Action to be held in Melbourne from 11am outside Aldi in Franklin Street, CBD. Call the TWU for further information 1300 727 614. Fatal accidents involving heavy vehicles has risen sharply over the past two years. It is no coincidence that two years ago on 21 April, 2016, the Federal Coalition Government shut down an independent safety watchdog that was holding wealthy retailers and manufacturers at the top of supply chains to account for low cost contracts that placed pressure on drivers and trucking operators. The Road Safety Remuneration Tribunal (RSRT) also had the power to set pay and conditions for road transport drivers. It has turned out to be a very dark day and a stain on the Turnbull Government. The cause: Many of those at the top of supply chains are influential Australian and multinational logistics and trucking operations and they turned the screws on Turnbull. The effect: The Turnbull Government, despite a departmental report showing the watchdog’s Orders were cutting truck crashes by 28-per-cent, killed it off. 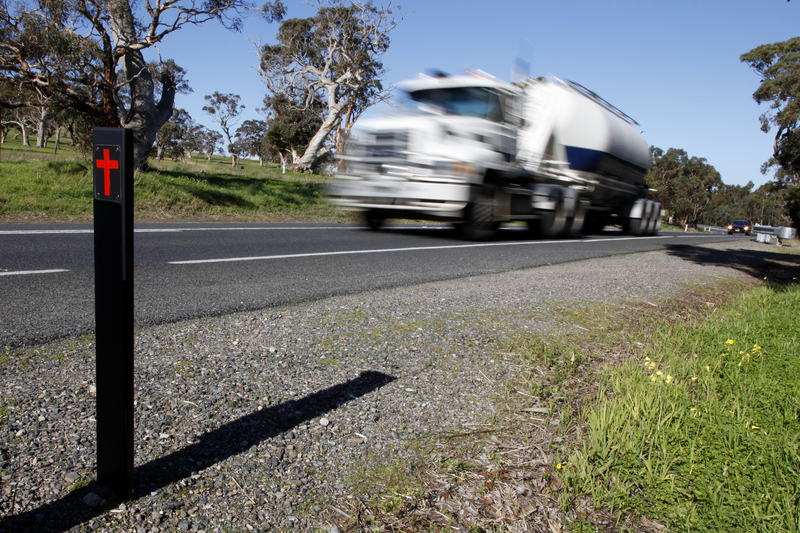 The result: The trucking industry sadly still has the highest number of work-related fatalities of all Australian industries and, according to SafeWork Australia, 10 of the 19 workers killed at work in 2018 were in the transport industry. The rogue retailer is an example of all that is wrong with a broken system. It not only refuses to own responsibility for the mess in its supply chain, it refuses to even speak about it or answer why truck drivers along its supply chain are among the lowest paid in Australia. This situation needs immediate remedy as grocery and wholesale retailers control 33-per-cent of truck movements in Australia and, therefore, set the industry standard. Last October, a cross-party Senate committee unanimously recommended the Government facilitate industry talks to “establish an independent industry body with powers to formulate, implement and enforce supply chain standards and accountability as well as sustainable, safe rates for the transport industry. The Government’s response? We are still waiting. 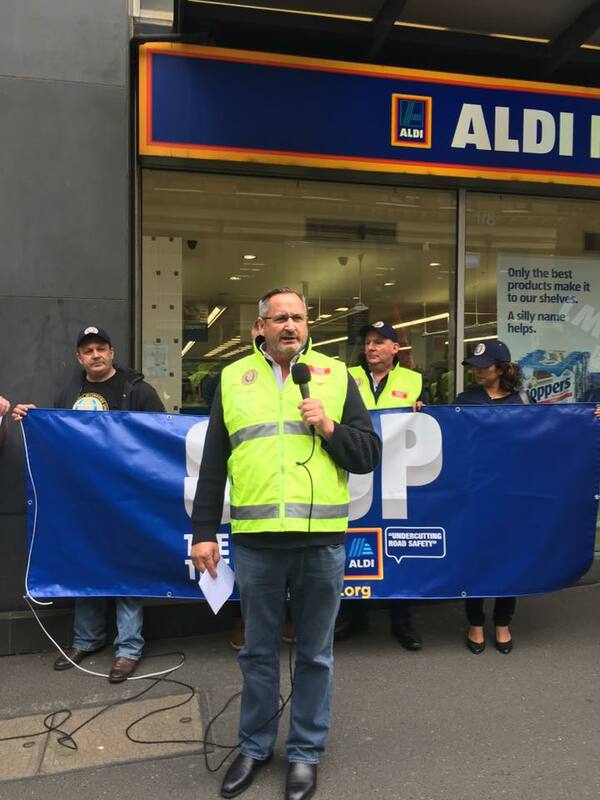 The TWU-coordinated state-based and national campaigns aimed at cleaning up supply chains is the only way to drag an uncaring Government and apathetic retailers like Aldi to the table.